Hello to all my friends that love the art and companionship that cooking provides. It’s an amazing thing how food brings us all together to share each others company and to make life’s journey far more meaningful. I come from a long line of professional chefs (I guess cooking is in the blood!) and have spent many hours growing up in the kitchens of restaurants of my family. My grandmother paved the way for part of my family as she came from the south of France as a well trained chef working in the kitchens of busy restaurants. From there, the family moved to Canada for new opportunities and that is where “Memere” became the head chef for the Chateau Frontenac – quite an achievement for a young woman at that time. Not to rest on laurels, it was soon time for new adventure and opportunity. The United States was next on the list where several restaurants were opened, some during the Great Depression where times were challenging, but very hard work, a natural business talent paved the way for success. My parents, aunts and uncles developed the passion and talent for cooking and eventually owned their own successful restaurants as well. These are the kitchens that I learned so much from. Within those busy kitchen walls I watched like a hawk and participated. I remember my Uncle Jean picking me up while in his white chef’s coat and sitting me on a huge butcher block table in his Cape Cod restaurant and sharing the secrets of some of his amazing and quite famous recipes. With him there in the early morning hours, before the restaurant was to open, he would tell me some of the ingredients I would help him with to make a sauce or prepare other dishes that would require much time simmering on the massive stove. My Godparents also enlisted my help in their restaurant as a young man and I learned many a secret from them through the years. They specialized in seafood and this is where I developed my love of the gifts from the sea. Living in the number one fishing port in the United States didn’t hurt things either. I remember being in my parent’s restaurant and watching my father prepare dishes like a gifted painter. I remember how happy he was in that environment – how he lived to turn ordinary ingredients into dishes that people would crave and come back for, sometime on a daily basis! My father loved the kitchen and all that went on inside. It’s probably that observation of his smiling face, whistling a tune, telling me a joke as he prepared his recipes that allowed my passion to always be there for the hustle and bustle of the kitchen. I’ve been cooking since I can remember – learning from some amazing family members with some pretty impressive experience, and that was my schooling. I feel so blessed for that kind of opportunity, and search for new things all of the time that I can build upon for new recipes for my family and to share with you! 20 Responses to A little bit of my story…. I met you today when my Sister in Law went to the Hospital for a Biospy. I enjoyed meeting you and talking about your site. The site is great and will try some of your dishes. The video you did for the contest is a winner and I see why they wanted you. I do make a pork recipe but use breadcrumbs and I dont make a gravy/sauce but will next time. I also cook alot with wine. Thank you for telling us about your site. Will be checking in with you often. I’m very happy to have met you and really glad you enjoy the website! who love to cook! My kind of people!!!! I know about your FAVORITE Chef. I thought you would like to let you know about a small Bookstore in Connecticut in Milford Connecticut Jcaques Pepin will be there signing his cookbook here is the link Though you may like to go there are directions to RJ Julia on the sight. Information! You have a GREAT memory that I adore him! I am planning on going!!! Thank you SO much Lori!!! That means more than you know me!! Thank you for showing it to everyone!! Thank You for saying hello! I’m glad that I could make your visit less “clinical” and more human to human. I hope you are well and let me know how you are doing. Thank You for visiting! Also, I appreciate the time you took took explain the incredible procedures yesterday. I’m one of those people that likes to know how things “tick”. At our Thanksgiving, my hands are a bit tied as we are always guest for the holiday. That being said, I’m recruited in the kitchen immediately upon stepping into the door (the bribe being a nice Bordeaux already poured and breathing). I do usually give advice to the hosting parties and typically recommend brining the game bird at least overnight for tenderness and flavor that is not to be compared. Tradition is important for me as well and will supply a turnip, carrot and parsnip creation if it is not on the menu. Past celebrations at my house have me roasting multiple game birds that would include quail wrapped in bacon for an appetizer, pheasant with a raspberry reduction sauce, traditional roast goose and the token turkey (which was not reported to be at the first Thanksgiving). The stuffing is NEVER placed in the bird, and usually contains a handsome amount of wild mushrooms and ground pork. Winter squash is always at hand with a touch of maple syrup. The wine is plentiful and usually a hearty white like a white Burgundy is available, but the reds always are more in demand. Lobster was reported to be at the first Thanksgivings, and something I will add on occasion for the historical value (alright, any excuse for lobster and I’ll put it on the menu) – but I know what you said about seafood yesterday…..
Bon Appetite and Happy Cooking ! It looks like we share a common heritage (and love of Jacques Pepin). My family has roots in Quebec and I was fortunate enough to enjoy dinner at the Chateau Frontenac about 15 years ago. It must have been wonderful to grow up the way you did. 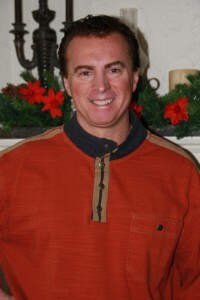 I love your site and cannot wait to try out some of your recipes this holiday season. I directed my father to you as well. He’ll appreciate the tradition that you inject into each post, even more than I can. Thank you for the kind words jill! And you are right Jacques IS the man. When he is gone – that’s it – there will / can never be another like him because of his training, background and heritage at the time when there was no nouvelle cuisine and training was so involved, difficult and intense. Talk to you later and thank you for enjoying! PS. WGBH just asked for me to send in a proposal for a show…….keep your fingers crossed…..
Good luck and Keep up the website. I simply love it. Next time I meet him, I would like to have it happen in a relaxed environment to talk casual. It really can’t be done at a book signing, where that’s not allowed because of the time demands. FOR A SHOW!!!!! I am realistic though, and realize it is a LONG shot – but wish me luck! Take Care my good friend!!! Hello and a Merry Christmas – hope you have a festive holiday. I know that the following is a big topic, but I thought it would be interesting to hear what you have to say. … on the topic of olive oil. I get the impression that Fench cooking does not use (much) olive oil, but interested to know if I am wrong on that. That said, do you sweat it out over which olive oil you use for sauteeing, for drizzling, etc? Of course, feel free to drop a brand and a store-name if there are top-o-the-lists. Merry Christmas to you, your wife and son! You are on the money with butter being king in traditional French cuisine. Olive oil is now used in nouvelle cuisine compared to non-existent in Haute (cuisine classique) cuisine. I do try to find a high quality oil, and I always use extra-virgin. Always. The taste is more complex , “fruity” and more interesting with many different nuances. You can tell just by the color that it’s EVOO. Always a deeper green compared to standard olive oil. Greek olive oil is one of my favorites, and you can get it at most large greek markets – especially the ones that sell wholesale to greek restaurants. There is one in Brockton that has a great selection. Make sure you use it within a 3 month period, otherwise it turns rancid (like all oils except for mineral) and has an insipid flavour that will ruin your dish. I live in South Eastern Ma, and share my secrets of technique and recipe through my website only now. I may someday open up a French restaurant in a quaint victorian house, but not ready to get back into it yet. I may be on TV eventually (working on that and a cookbook too!) – time will tell. How did you hear of me? I love to hear how folks like yourself learned of my website. PS. Last time I was in Conn. 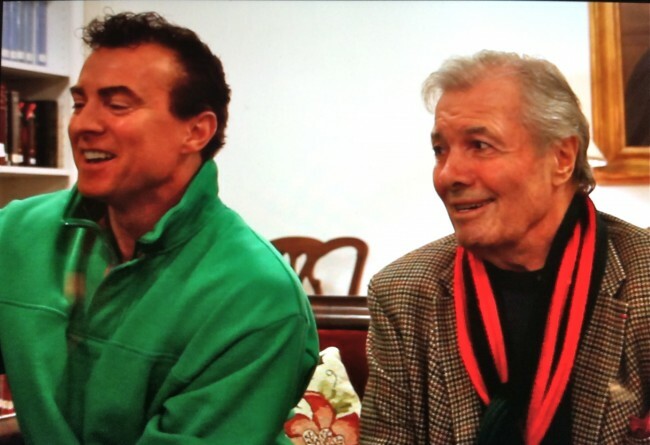 I was talking on a couch with the greatest chef of all time -Jacques Pepin. Did you see my video of that on my website? He is an amazing man and reminded me so much of my father the way he looks and speaks. Sorry for spelling mistake! Merci Beaucoup et Bon Appetit!